Analysis: From commercial to enterprise hubs, from smaller to bigger players, open source is gearing up to be the future of the data centre. The use of open source to design, build and deploy software and even hardware infrastructure in the data centre seems to be an accelerating trend amongst companies in the hosting space. Open source software revenues worldwide are expected to go beyond the $50bn barrier this year for the first time, according to Statista. By 2020, that value will rise to $57.3bn. 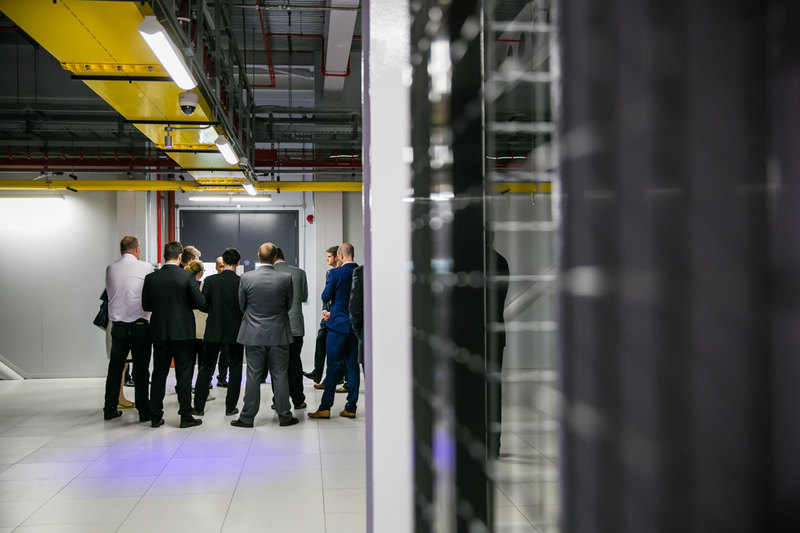 From companies like Facebook to Microsoft and colo Equinix, all the technology giants are somehow involved in the development of open computing products for the data centre. This is aimed at increasing interoperability, making services delivery smoother and more efficient. The industry has seen in recent years the appearance of initiatives such as the Open Data Centre Alliance, OpenStack, Open Compute Project, openDCIM Foundation, just to name a few, that are driving the adoption of open source technologies. The main advantage of open source is the fact that access is free. However, this gets counterbalanced by the fact that as its development is made, for example, by company/developer A, that does not necessarily mean it will entirely benefit end-user B as it will not be fully bespoke. Nevertheless, open source has the advantage that it keeps evolving at a faster pace than many proprietary software products. In the end, open source is vendor agnostic. Philip Dawson, VP research at Gartner told CBR that customers can choose to use open source and if they are working with alliances then that is the way for standardisation to become the de facto standard in the industry. He said: "Clients want freedom of choice. What is a killer point here is when a client realises they need to put something into production; does the client do that with open source? "Very few organisations will do this on distribution, support and stack distribution. A lot of this choice will include external providers, who need correlation to standardise how these things work together." According to Lew Tucker, CTO of cloud computing at Cisco, new technologies are driving a virtuous cycle of innovation around the IoT, big data, cloud and software defined networks (SDN), which is transforming the data centre itself with open source. Speaking of OpenStack, an open source software for creating private and public clouds launched in 2010 by Rackspace and NASA, he said: "There are many companies involved in OpenStack because we have an interest in making sure that the way this platform is designed in such a way that we can all use it and can be expanded for different use cases. "Services is the way to think about OpenStack. Open source really allows everyone to deploy their own cloud." In 2011, in collaboration with Intel, Rackspace, Goldman Sachs and Andy Bechtolsheim, Facebook took the lead on open source data centres and launched the Open Compute Project, an initiative to share the custom-engineered hardware technology in its data centre in Prineville, Oregon, US. The project seeks to transform the energy efficiency of global data centres and has attracted companies such as Google, Microsoft, Equinix, IBM, Apple, HPE, Cisco, Panasonic and Schneider Electric that are now official members of the group. Kevin Brown, VP global data centre strategy and technology at Schneider Electric, told CBR: "The Open Compute Project is an important forum for information sharing with our customers and manufacturers. This has led to new and unique approaches to simplifying the data centre, improving efficiency, and ultimately reducing cost. "By arming data centre managers with an end-to-end Open Compute data centre architecture, including the physical and IT infrastructure, we can help them better visualise their final design." Yet, the most recent example of open source expansion in the data centre space has been software start-up Mesosphere’s launch of the world’s first 100% open source data centre OS, together with 60 other technology companies, including Microsoft, HPE, Cisco and Equinix. The DC/OS is a comprehensive platform for building, running and scaling modern enterprise applications. Matt Trifiro, SVP at Mesosphere, told CBR: "DC/OS is the first true data centre operating system and it represents a new, modern model for building a deploying applications and services. "Never before has it been so easy and so open to deploy large-scale distributed systems like Kafka and Cassandra (one click install). And never before has it been so easy for developers to build highly-scalable, robust applications build around containers and micro services. "It is designed for large enterprises running DC/OS in production and adds enterprise-grade features like enhanced security, compliance and monitoring. Enterprise DC/OS is Generally Available and is at v1.7." Another industry attempt at open source includes the openDCIM Foundation, a US based organisation that has released a free, web based data centre infrastructure management (DCIM) application named openDCIM. The foundation says that its goal number one is to eliminate the use of spreadsheets in the data centre once and for all by provide complete physical inventory, for example, asset tracking. of the data centre. The software has been all built on a MySQL database for report building, or export to other applications. With the number of applications, specially created by the IoT, on the rise, data centres are being faced with new amounts of pressure and open source, which at the same time helps the industry come together through common grounds of development, might well be the answer to cope with all the billions of connected devices and services, from cars to computers, to banking apps and more.